On Tuesday I covered what may have been the largest shareholders meeting in shareholder meeting history. 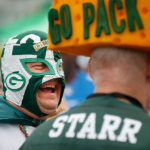 More then 12,500 shareholders of Green bay Packers stock attended the teams annual meeting Tuesday July 24, 2012 at Lambeau Field in Green Bay, Wisconsin. 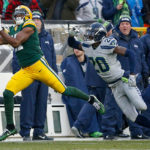 It was the largest shareholders meeting in team history, boosted by the more than 250,000 people who bought stock in the team’s recent stock sale. 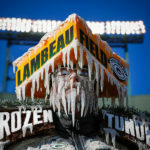 As a an editorial photographer in Green Bay, Wisconsin I love the fact the fans have such team spirit and dress in a visually friendly way. 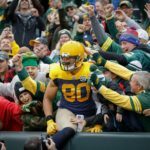 As a resident of Green Bay I love the fact the fans have such a love for the team and such great team spirit. Here is one of my favorite photos from covering the event for a business publication. 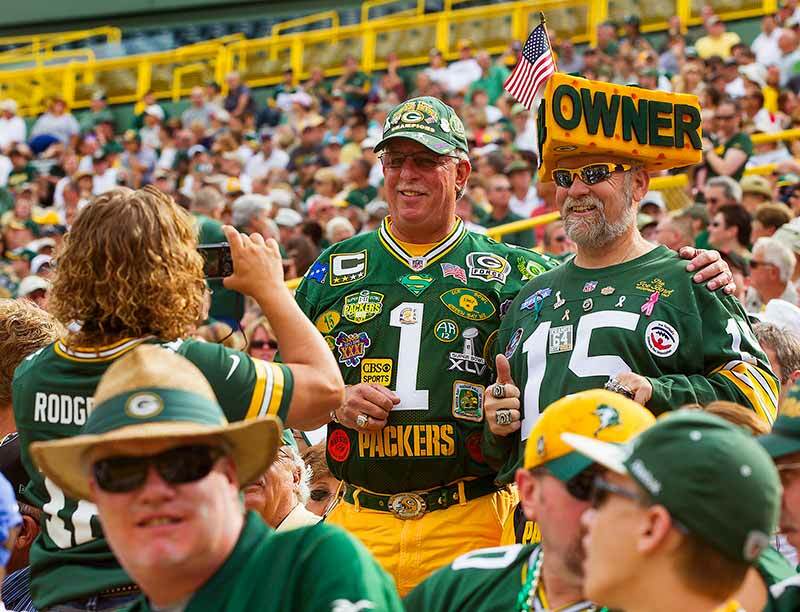 Green Bay Packers fans Wayne Sargent, left, and Steve Tate pose for a picture during the Green Bay Packers shareholders meeting at Lambeau Field on Tuesday July 24, 2012. in Green Bay, Wisconsin. « One Of The Many Reasons I love My Wife. 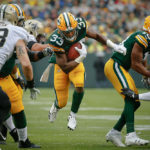 Wisconsin Sports Photographer • Green Bay Packers vs Atlanta Falcons Photos.